Jotmahal serves one of the best versions of chole bhature — fried bread with chickpea curry — in the East Bay. Hours: Daily 11 a.m.–3 p.m., 5–10 p.m. Some of the pleasures of Jotmahal are obvious ones. There is, of course, the setting: The three-month-old Indian restaurant is located in the former Cha-Am location in North Berkeley. It’s one of those charming, old, second-story restaurants that you’ll find in this part of the so-called Gourmet Ghetto — a converted residential space that makes you feel a little bit like you’re eating inside a treehouse, especially if you sit in the covered front-patio section of the dining room on a sunny day. The atmosphere, incidentally, is very Berkeley, from the beatnik-looking older gentleman in sunglasses and a beret who was sitting one table over to the guitar-playing hippie teens who serenaded us from outside the window. 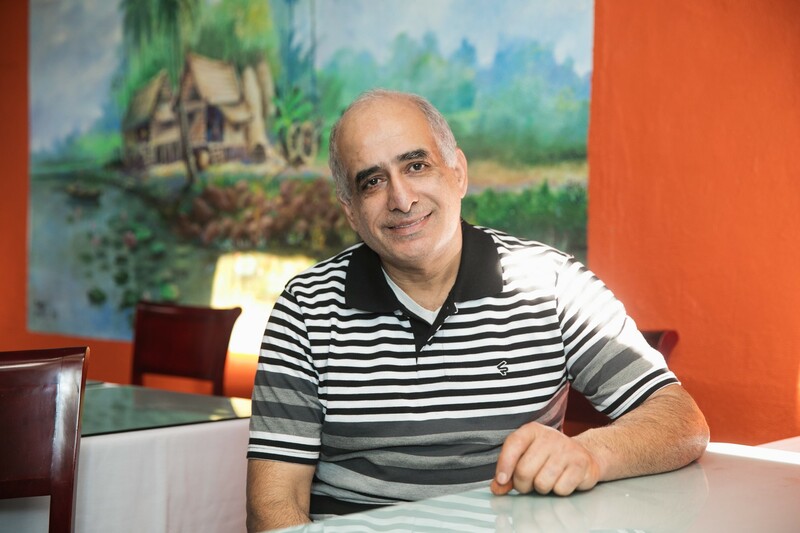 Jotmahal is chef-owner Gornam Singh’s first restaurant of his own, but he has been a chef for about 20 years, mostly at Kabana, another Indian restaurant in Berkeley. He named the restaurant after his daughter Jot Singh, a university student who moonlights as the restaurant’s manager in her spare time. The food pleases, too, and is a good value, starting with the plate of vegetable pakora — doughy, crisp-edged, and exceptionally savory — that you get for free during lunch service. That said, at first glimpse, Jotmahal’s menu looks completely generic in that it rarely strays away from safe curry-house standards such as chicken tikka masala, matar paneer, and various meats grilled in the tandoor oven — the kinds of dishes you’d expect to be able to find at any Indian restaurant in America. If you judge Jotmahal solely on its execution of these crowd favorites, you’ll likely walk away satisfied, if not unduly impressed. The chicken tikka masala was tender and was notable, mainly, for the tanginess of its bright-orange gravy, which was abundant enough to ensure that we never lacked for something tasty to sop up with our bread and rice. The matar paneer, the classic vegetarian combination of peas and fresh cheese, seemed somewhat bland at first taste. But each successive bite made me appreciate lightness and brightness of the dish, as well as the low, back-of-the-throat burn of the tomato-based gravy. Flavor-wise, one of my favorite dishes was the lamb curry, which also had a tomato base and was deeply savory and had a decent chili kick without us having to go out of our way to request it. The only flaw was that the chunks of lamb were a bit tough. All of the aforementioned dishes mark Jotmahal as a better-than-average neighborhood Indian restaurant — good enough to satisfy the typical curry-eater’s takeout needs, and to merit an occasional visit if you live in the area. But you could say the same thing about a half-dozen South Asian restaurants in Berkeley. Read through the menu a little bit more carefully, though, and you’ll notice an unusually high number of dishes that are marked as “Punjabi specials” or “North Indian favorites,” revealing the restaurant’s particular regional slant. As it turns out, Singh does hail from India’s northern Punjab region, and the restaurant’s Punjabi dishes are the best reason to go out of your way to pay it a visit. Start with what might be my favorite version of chole bhature in the East Bay — somewhat of a bold statement, I know, given the fact that Vik’s Chaat must sell hundreds of orders of the dish every week on the other side of town. For the uninitiated, this is the dish that non-Indian customers often just refer to as “That Big Puffy Bread.” If Vik’s is your point of comparison, you’re probably expecting a bhatura (the type of fried bread featured in the dish) that is extra puffy and largely consists of air — a kind of bread balloon that deflates soon after it arrives at the table. The bhatura at Jotmahal didn’t puff up quite so outrageously, but it had a bit more substance and chew while keeping that fluffy, airy quality. As far as fried bread goes, it doesn’t get much better than this. But the highlight of the dish was actually the chole, or chickpea curry, that you eat with the bread. 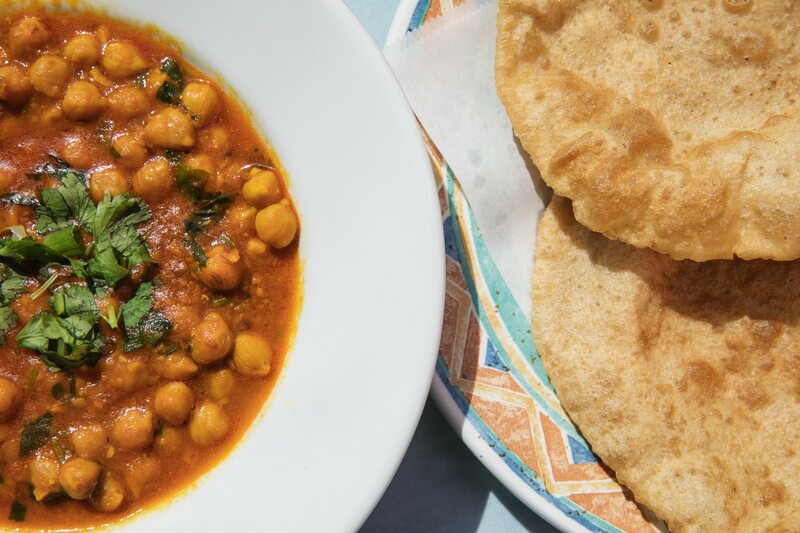 In other versions I’ve had, the bhatura is the clear star of the dish, and the accompanying chickpea curry is often lukewarm, watery, and tepidly seasoned. Jotmahal’s chole was earthy and hearty, with a nice hit of cumin — delicious enough that I would happily eat it all on its own. Chef Gurnam Singh specializes in Punjabi dishes. If, on the other hand, the airiness is the thing you love about a bhatura, you can order the poori (or puri), at least when it’s available on the weekend. This was an unleavened, fried bread that arrived at the table puffed up and piping hot. It was a little thinner and oilier than the bhatura, and was slightly sweet. During one of my visits, the little girl in the Indian family sitting at an adjacent table kept saying that all she wanted was “two big, fat pooris” for her lunch. Smart kid. You can tear off pieces of the poori, or the bhatura for that matter, and use them just like you would use naan to scoop up any saucy curry. I liked it as a complement to the aforementioned chicken tikka masala, and also to the dal makhani — a dish of creamy, well-spiced black lentils, which was another one of the restaurant’s Punjabi specialties. The dal is traditionally finished with butter, but later I learned that you have to ask for that specifically. (Many dishes at Jotmahal that would benefit from butter omit it by default, as a nod to vegans and the health-conscious. All you have to do is ask.) Even without the butter, this was a satisfyingly rich dish — another dish whose pleasures weren’t immediately obvious, but revealed themselves quietly with each successive bite. Another of Jotmahal’s specialties that you won’t find at many other Indian restaurants is the Punjabi saag. This was a heavily spiced version of the creamy spinach dish that every Indian restaurant serves — except made with mustard greens instead of spinach, yielding a purée that was a darker shade of green, and had a smoother texture and a bolder, earthier flavor. Sometimes you’ll see the dish listed on menus as sarson ka saag, and it’s traditionally served with a kind of griddled corn-flour flatbread called maki di roti — a tortilla-like bread I’ve only seen at one other East Bay restaurant (as a weekend special at Masala Cuisine in Deep East Oakland). It was a slight letdown, then, to not see maki di roti listed on Jotmahal’s menu. But later I found out that the restaurant actually serves maki di roti every day — they just hadn’t gotten around to putting it on the actual menu yet. Indian customers just know to ask for it, Jot said. Of course, that’s good advice when dining at any Indian restaurant, and especially one that aspires to serve more than just your typical curry-house standards: Before putting in your usual order, eavesdrop on the neighboring tables and see what the Indian families are eating. You just might discover something new.